Norway’s mountains, fjords and Arctic tundra do much to stir the imagination. And, come winter, it’s blanketed in soft white powder making for postcard-worthy vistas at every turn and days spent exploring with a range of wintry holiday activities. 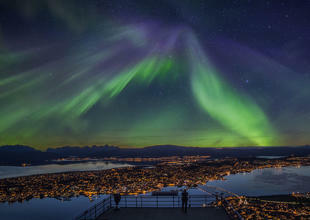 With nights at their longest and a lack of cloud cover, Norway's winter months make for prime Northern Lights viewing. 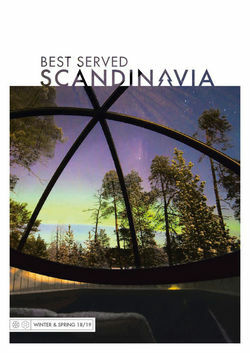 Head north towards the Arctic Circle for the best views as stays in snow hotels, night-time 4WD driving tours and midnight snowmobile expeditions all reward travellers with spectacular ethereal visions. 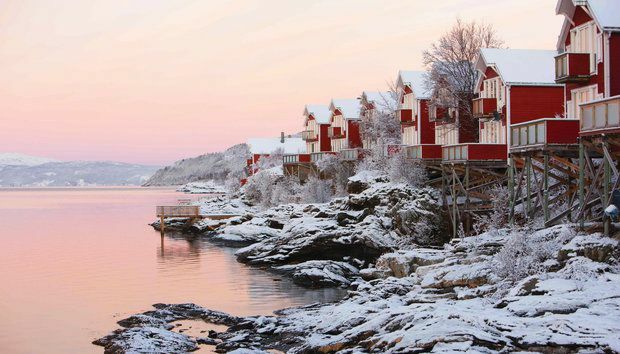 Follow the route less travelled with a winter cruise along Norway’s west coast. You’ll start your expedition in Bergen as you trace the jagged cliffs up to remote cities; stop at Trondheim for the country’s largest gothic cathedral before reaching lively Tromso, a hotbed for winter activities and, of course, the Northern Lights. In fact, it's a city tailor-made for a city break in its own right. You’ll then finish in Kirkenes, just a few miles from the Russian border and home to the northern Scandinavia’s Sámi population. Wherever you are in Norway, you can be sure that you won’t be far from high-adrenaline expeditions. Learn to drive a snowmobile – often the best form of transport in the north – or get to grips with its natural predecessor, the husky sled. In between, there’s everything from snowshoeing and cross-country skiing to ice fishing, as well as cultural tours of indigenous communities. And, Norway is home to world-class cities, too, large enough to be exciting and small enough to be friendly and navigable. Take a Norwegian city break and see Oslo, Bergen, and the rest of the country's urban centres light up through the dark wintry months, keeping energy up and entertainment flowing. 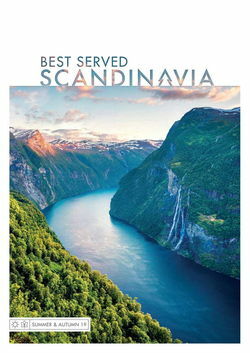 Norwegian fjords cruises are a great way to experience the waterways at their dramatic, wintry best, and you can combine them with a train journey through the snowy Norwegian Alps. You’ll stay at rural villages where frozen waterfalls are framed by majestic mountain peaks before taking a boat cruise through the fjords themselves. 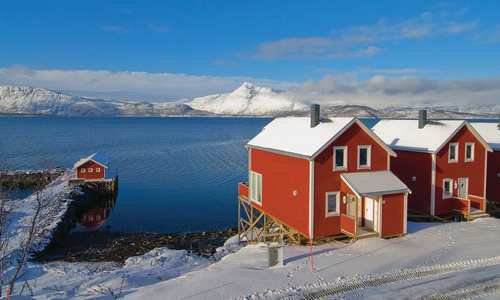 There are also remote mountain- and fjord-side resorts where snowmobile and dogsled safaris make the most of picturesque locations. 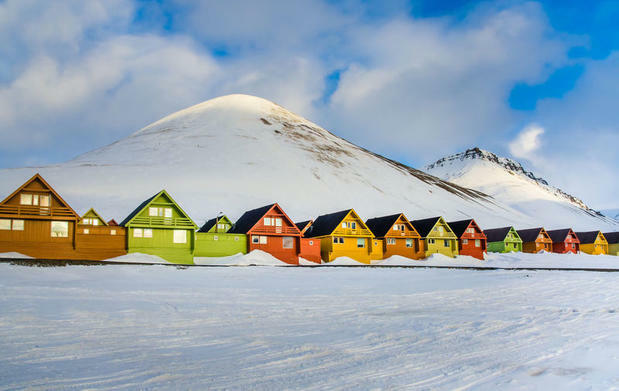 Alternatively, head further north to Svalbard, where polar bears outnumber people and the aurora borealis is the backdrop to stunning glaciers and cracked rocky crags. In terms of accommodation, it doesn’t get much better than Norway’s ice hotels. Each year, artists and engineers alike work to create these architectural marvels where labyrinthine tunnels lead to beautiful rooms of ice, themselves home to dancing lights and dazzling sculptures. Both the hotels at Alta and Kirkenes offer a completely remote experience combined with truly locavore dining, a full complement of winter activities and even a welcoming ice bar.